Pilot episode #1: the best political commentators, the Lib Dems and what if Brexit wasn't happening? Stephen Tall and Mark Pack talk about the Liberal Democrats, British politics and a few stray digressions. Occasionally features Brexit. Are the Lib Dems about to lose an MP? Stephen finally gets Mark to talk about Brexit. But only after discussing the Newport West by-election. They also discuss whether the Lib Dems are about to lose another MP over Brexit. Vince Cable: how did he do and who will succeed him? 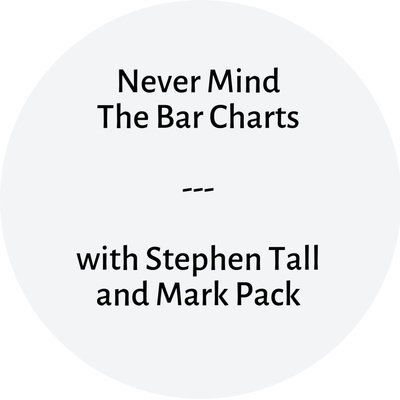 Mark Pack and Stephen Tall discuss Vince Cable's record as leader, what happened at conference and why Stephen pays money to the New Statesman. Plus - who will be the next Lib Dem leader? The Independent Group: earthshattering or earthbound? Mark Pack and Stephen Tall discuss The Independent Group, the future of the Lib Dems and Brexit. With shout outs for The Times Red Box podcast and the Polling Matters podcast. Stephen and Mark discuss three things they don't like. Mark Pack and Stephen Tall discuss Paddy Ashdown, Lib Dem strategy and our obsession with US politics. Brexit nearly doesn't get mentioned. Stephen Tall and Mark Pack talk about their favourite political podcasts and commentators, what the government should be doing if it wasn't consumed by Brexit and the Liberal Democrats.